since you need/want a low profile vent. Think Sun Roof. The expedition portal has some projects on creating bugs screens and 12volt fans to use with them. You can get sun roofs that are as small as 17 x 17. You can also get them with removable glass, my Honda Element has removable glass. @ Walt - yes, this project has certainly snowballed a bit! LOL!! 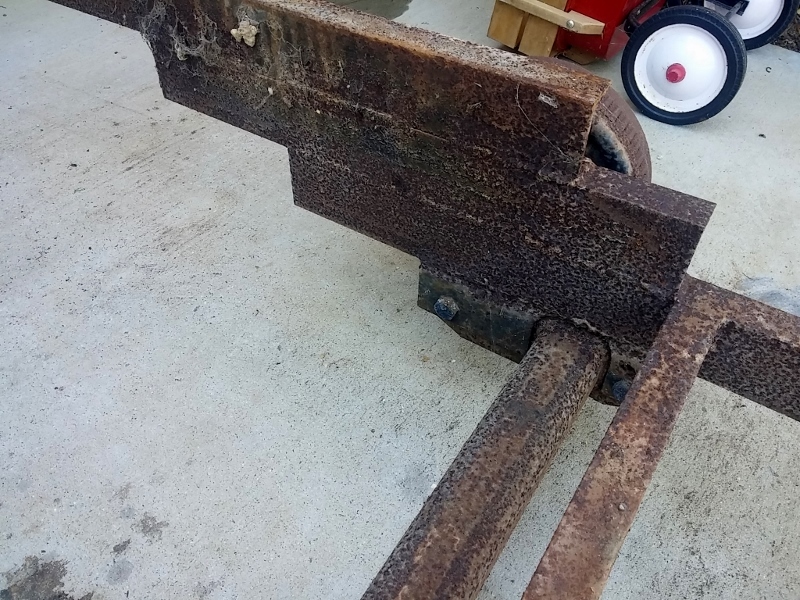 @ KC - I did hit the floor with a power washer before I put on the wet coat of mold/mildew cleaner. Your logic was the same as mine, nothing to damage, and the floor is like Swiss cheese so easy drainage! The sun roof idea is intriguing, something that could open yet be super low profile which is critical... definitely something I'll spend some time thinking about. 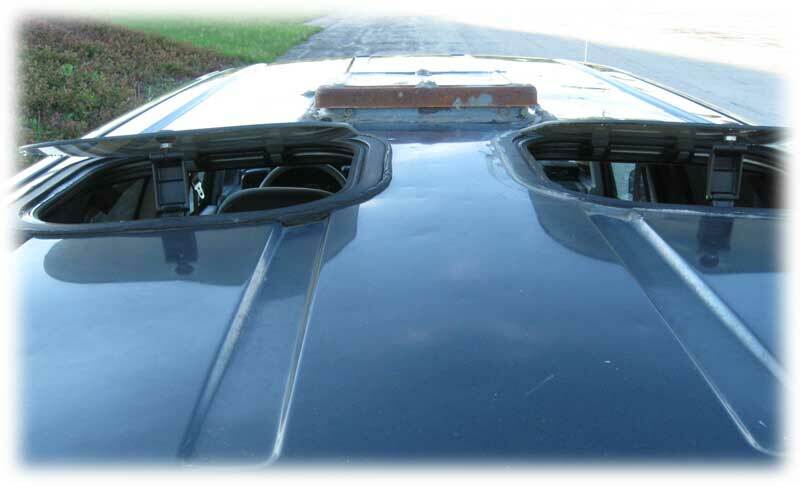 p.s: a quick Google search uncovered this picture of two square sunroofs that someone had installed in a van, something similar might be just the ticket! 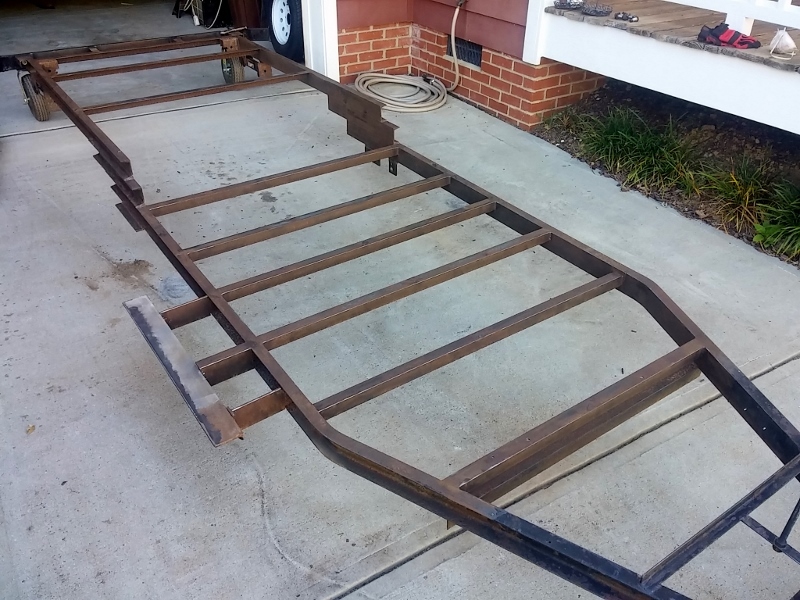 It took a bit of planning and a lot of acrobatics thanks to the small garage, but I finally got the shell separated from the frame. 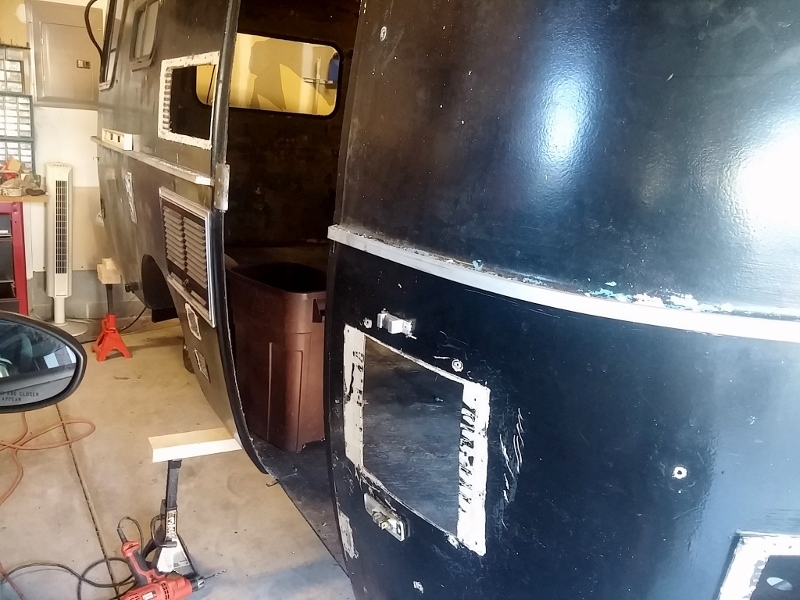 Jonathan, I had the same problem with the roof vent on our 13' Scamp, so I found a flat metal replacement lid from our local RV place that worked out fine. Thanks Dave! There's a couple RV places in the area, I'll pay them a visit and see what they have. 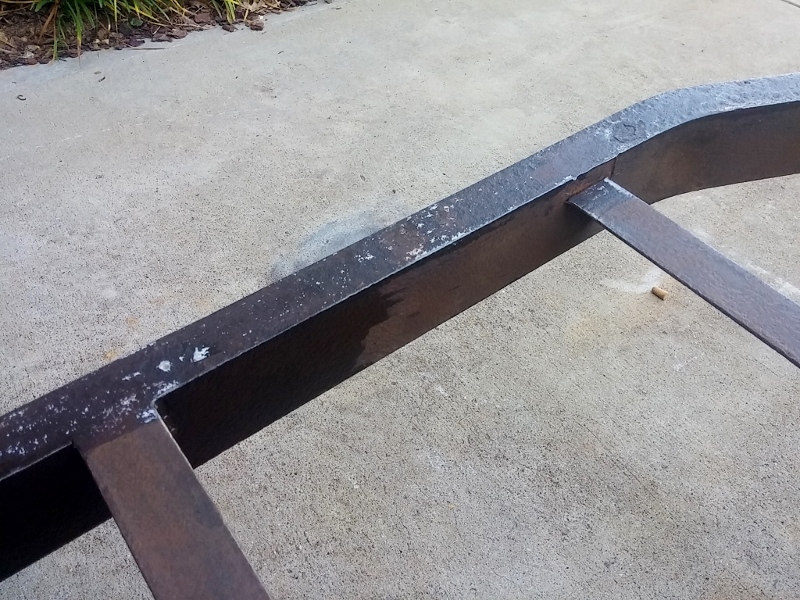 Once I get the brushing and grinding done I'll do a round of rust inhibitor (maybe two depending on how things looks), then prime and paint. 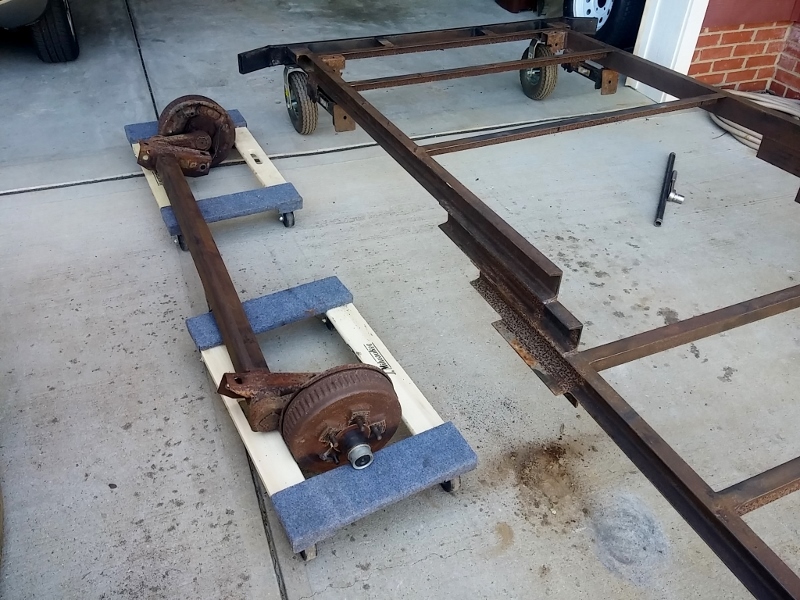 I only had about 45 minutes after work today so no significant update to provide, I battled through the rusty bolts to take the axle off so I could service it and spent the remainder of the time with the angle grinder buzzing the frame rust. 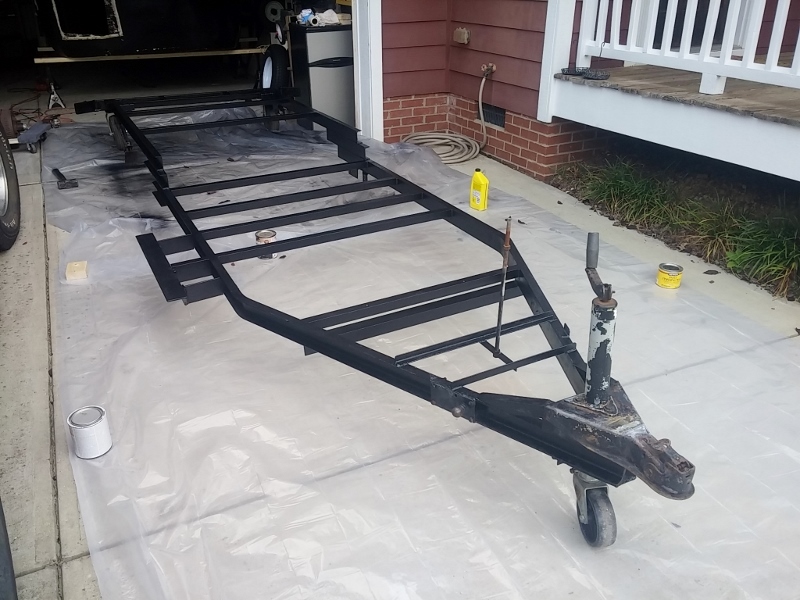 Tomorrow I'll flip the frame over and buzz the underside, then I should be ready to move on to the rust inhibitor step. There's nothing to service on a torsion axle except bearings and brakes. They are called His and Hers Sunroofs. Several sellers on Ebay, this one is a well known company. Thanks for the link KC! Those are pretty cool, the only thing that concerns me a little bit is how much I'd need to modify it to fit the really thin fiberglass shell...? Something I'll ponder. Tuesday I got the remainder of the brushing done, this evening I got the rust inhibitor done - just like the bottle said, it started working immediately! 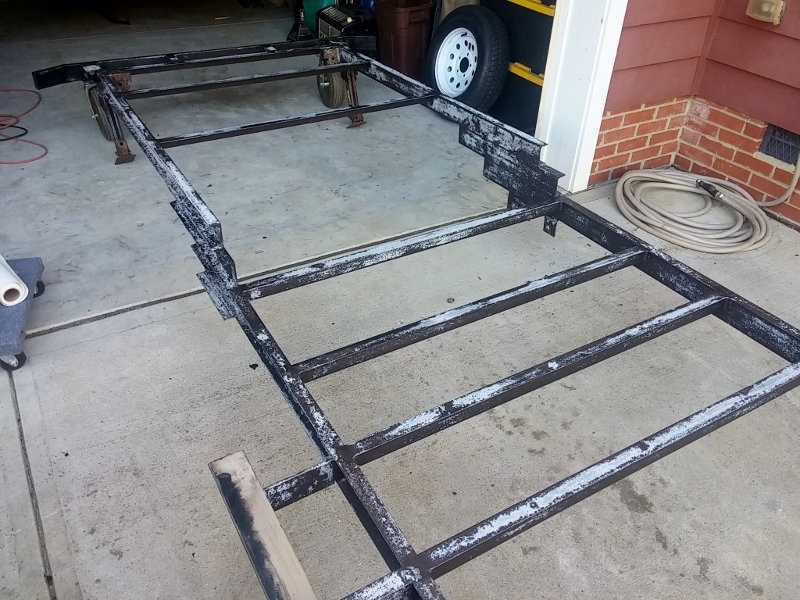 I smacked it out temporarily and will have to call in a favor and get it zapped back on, I should be able to coat most of the remainder of the frame with primer in the meantime. Wow, good you noticed that now while it's an easy fix. Well done. Speaking of which, I never would have guessed how difficult it would be to find a source for the 3/16" sheet material I need. 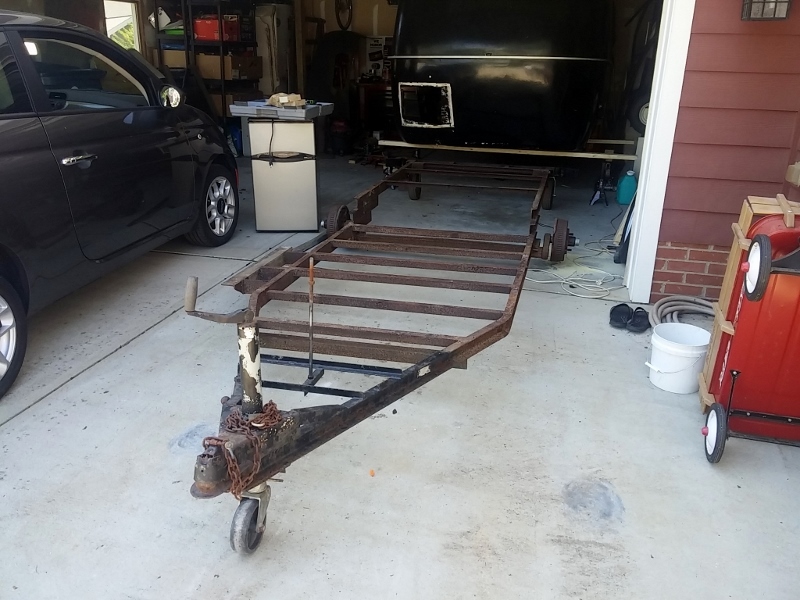 An RV salvage company in Arizona initially said they had some that they could sell me, but when I called to order it they said they didn't have any... not sure what was up with that?! The local LKQ has a few trucks with fiberglass camper shells so I'm planning on heading over there to check this out, if this doesn't pan out there's a fiberglass shower stall that must have blown off a garbage truck on the highway between my house and work... yeah, that would be pretty redneck, but the price would certainly be good... assuming I don't get a citation while doing the salvage operation. If all else fails I'll go with the FRD that Home Depot sells, not ideal from what I've read but better than nothing. 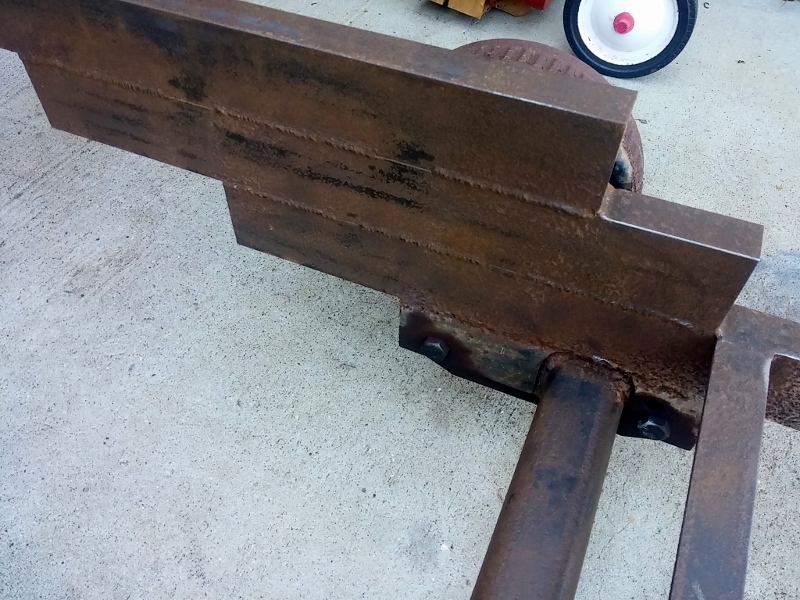 The front portion I'm intentionally leaving untouched as I need to do a little work on the hitch and jack, I'll loop back around to this at some point after I get the 498 other items done that are more important.